Free Shipping Included! Gran Mitla Sal de Gusano 100 Gram Jar by Gran Mitla at The Flavour Stack. Hurry! Limited time offer. Offer valid only while supplies last. 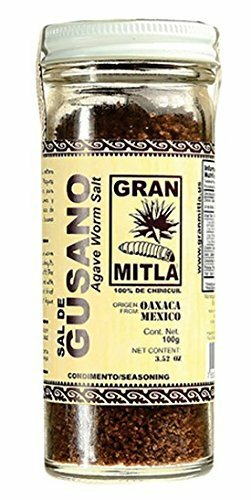 Sal de Gusano is a traditional Oaxacan spice made from sea salt, toasted and ground agave worms and chile costeño. Great Savory Flavor to accompany your Mezcal, Tequila or Michelada, on fruits and salads, or in signature Mexican dishes.